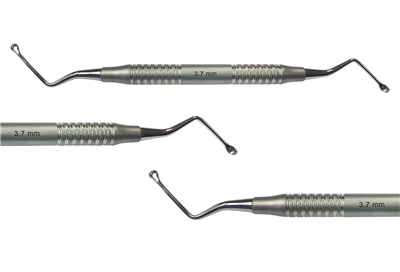 The OsteoGen Plug Serrated Curette is used to ensure a thorough debridement of the socket following tooth extraction. The serrated curettes are an ideal instrument to remove soft tissue and stimulate bleeding from the osseous base. This procedure will also establish the regional acceleratory phenomenon which is known to stimulate new bone formation and graft incorporation. 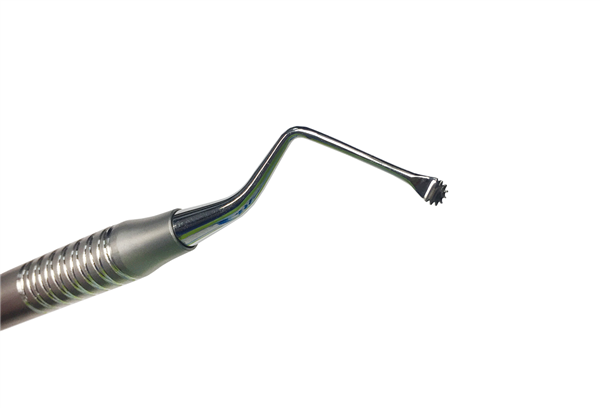 At 3.7mm in diameter, this larger size is good for posterior region.